The Best of The Holiday Season To All Of Our Readers! As publisher of Valley East Today, I would like to extend my best wishes to everyone for a Very Merry Christmas and a Truly Happy New Year! 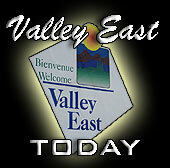 This week we will be bringing you an abbreviated issue of Valley East Today due to the holiday schedule. I would invite you to take a few moments while you are relaxing to browse through some of the previous issues of the past year and examine the different sections of the main web site at www.valleyeasttoday.ca . We have try to bring you as much information as possible in our attempt to keep you aware of what is happening in your community. Next week is the first of the New Year in 2007. A year we hope will be the beginning of another marvelous year of personal growth and prosperity for everyone Valley East and indeed the entire Greater Sudbury Area. Today, I would like to extend my sincere appreciation to all of you who have formally registered to receive the Valley East Today Weekly Online News Magazine. At the current time we have over 2600 people receiving this publication each week directly to their personal email address. In addition, we know that there are thousands more people being forwarded the publication as subscribers share the stories, editorials and articles each week. We will continue to uphold the high standard of communication that has been established since Valley East Today first began publishing in November 2005. 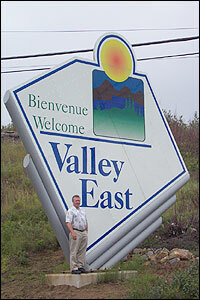 Valley East Today will continue to be one of the most comprehensive sources of information for this community and will furthermore continue to promote the accomplishments and achievements of individuals living in this part of the City of Greater Sudbury. "Keep The Spirit Alive Contest"
Make sure you look at the article below on this page to find out who were declared the winners in our "Keep The Spirit Alive Contest". Four of the subscribers to Valley East Today are walking around today with some pretty valuable prizes, just for receiving our weekly Online News Magazine. Thank you to all who have registered. We hope you are pleased with the publication. Ever since the "Keep The Spirit Alive Contest" was introduced in June the number of people registering to receive the Valley East Today Weekly Online News Magazine has skyrocketed. There are now over 2600 people receiving the Valley East Today Weekly Online News Magazine every Tuesday and we know that it is being forwarded to as many as 10,000 more people because of the wide variety of articles and features of interest that are included in the publication. 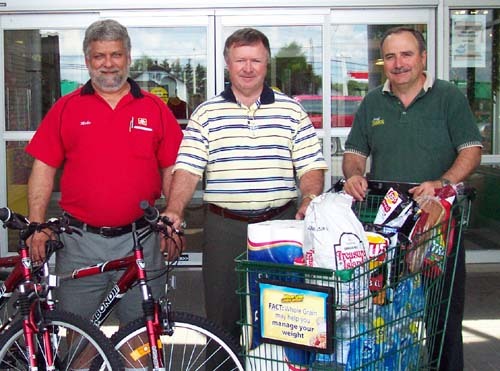 The three community-minded local businessmen in the photo are Mike Lemieux, owner of Hanmer Home Hardware, Robert Kirwan, Publisher of the Valley East Today Community Web Site and Online Weekly News Magazine, and Ken Desjardins of Desjardins’ Food Basics. The three men teamed up to sponsor a “Keep The Spirit Alive Campaign” to encourage all residents to spread the message that Valley East is a great place in which to live! Everyone participating in this campaign had a chance to win a “Grand Prize” consisting of 100 Lotto 649 tickets for the New Year’s Eve Draw on December 31, 2006 . Runners up will receive other valuable prizes, including “two” mountain bikes donated by Hanmer Home Hardware, $300 in groceries from Desjardins’ Food Basics, and a full six months of free long distance calling in Ontario. In order to qualify for these prizes, all you had to do was register to receive the Valley East Today Weekly Online News Magazine. Every month from June until the end of December 2006, ten names were drawn at random from all of the people registered to receive the publication. The seventy (70) finalists are listed below. The following seventy (70) subscribers to Valley East Today qualified as finalists in the "Keep The Spirit Alive Contest". Ten different qualifiers were selected each month from June 2006 to December 2006 inclusive. KEEP THE SPIRIT ALIVE CONTEST! 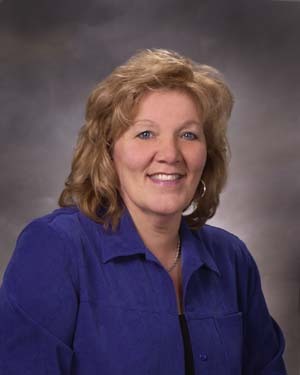 Connie Laforest will be providing us with special information articles to help people better understand the new product lines and options available from the RBC Royal Bank. Troy Felice at age 31 is trying to build a better future for himself by joining the army of small business owners who have turned to entrepreneurship in an attempt to escape the cycle of low-paying, dead-end jobs. Born and raised in Valley East, Troy attended St. Anne School in Hanmer and then started out at Confederation Secondary School in Val Caron. He moved away from home at the age of 18 and dropped out of Lasalle Secondary School, three credits short of his grade 12 diploma. The past thirteen years have been filled with episodes working at call centres, on welfare, and even a stint as a financial planner. He was considering starting his own business when his father told him about a company that he had seen on the Oprah Winfrey Show. 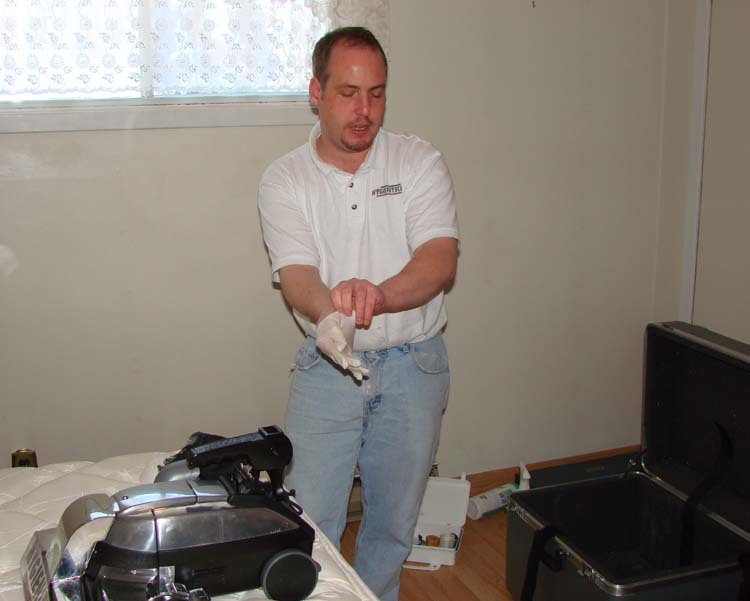 After thorough investigation of the business, Troy now finds himself as the owner of SLEEP WELL, and is an authorized dealer for Hygienitech Mattress Cleaning Systems. Please accept our apologies for this very small publication this week. The following links will take you to last week's publication of December 19, 2006. We look forward to seeing you in the New Year with our January 2, 2007 publication! 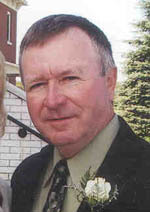 Robert Kirwan, President & C.E.O.